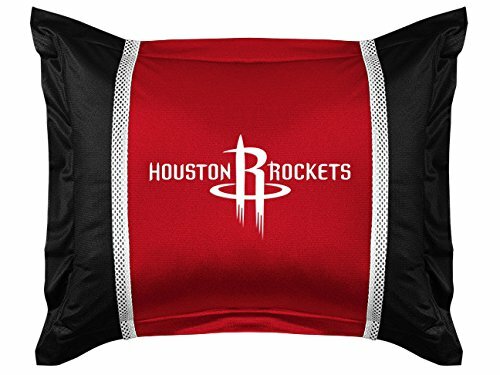 NBA Houston Rockets side-lines shams Rockets , shams are 31" x 25" including Flanged edges. 3" overlapping Envelope closure is on back. 100% polyester jersey. logo is screen printed. machine washable. Made in China finished USA.